DARPA recently completed flight tests for its Video Synthetic Aperture Radar (ViSAR) program, successfully demonstrating a new sensor that can capture real-time video through clouds. 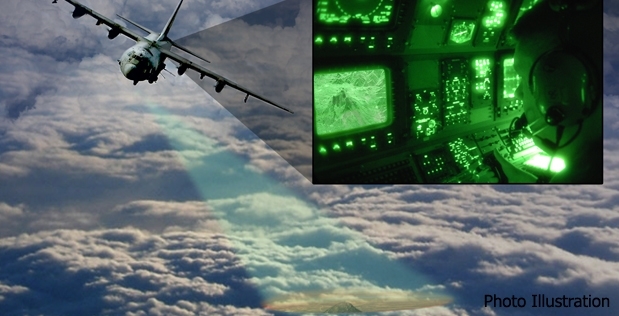 The ViSAR program, which began in 2013, has been developing an Extremely High Frequency (EHF) targeting sensor to operate through clouds as effectively as current electro-optical and infrared (EO/IR) sensors operate in clear weather. The program’s goal is to develop a cloud-penetrating EHF sensor in a moveable gimbal that could be mounted on a variety of aerial platforms to provide high-resolution, full-motion video for engaging moving ground targets in all weather conditions - cloudy or clear. Cloud-penetrating radars - such as from space or other operational systems - have existed in other formats, but there has not been a synthetic aperture sensor, which can fit in a standard EO/IR sensor gimbal on aircraft and maintain frame rates fast enough to track maneuvering targets on the ground. The recent ViSAR tests took place on a modified DC-3 aircraft that flew at low and medium altitudes, allowing researchers to collect and compare data from the ViSAR, EO, and IR sensors mounted on standard sensor gimbals. The next step in the program is refining the ViSAR sensor’s visualization software to provide operators a representation they’re used to seeing. DARPA don’t want operators in the back of an aircraft to need special radar training to interpret the sensor’s data - researchers are working to make the visual interface as easy to interpret as existing EO/IR sensor displays. 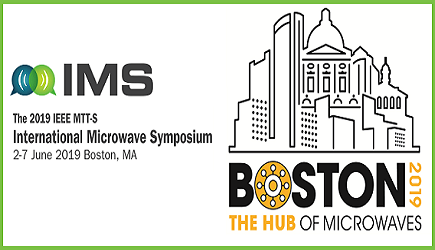 The ViSAR program has demonstrated and continues to push technology innovations in four technical areas: Compact flyable EHF-band exciters and receivers; compact flyable EHF-band medium-power amplifier; EHF-band scene simulation; and advanced algorithms for EHF-band operation. The next phase of the ViSAR program is to integrate the sensor into an aircraft that includes a complete battle management system, capable of real-time target engagement.